The Group has made strong progress in the first half of the year with results in line with expectations. Both revenue and profit are up year-on-year on a constant currency basis. The start of German rail operations and recent North American and Spanish acquisitions contributed to the 10.4% increase in revenue in constant currency. The diversified portfolio of cash generative businesses provides a stable source of revenue and profits, with two thirds of earnings generated outside the UK and with no one contract contributing more than 4% of Group operating profit. The strong operational and financial position enables us both to invest in growth and deliver attractive returns to shareholders, with a 5% increase in the interim dividend. The Group remains on track to deliver its profit, cash flow and gearing targets for the year. *Unless otherwise stated, all operating profit, operating margin, operating cash flow, asset return and EPS data is stated before the amortisation of intangible assets as defined in note 18 of the interim financial statements. North America delivered revenue growth of 15% on a constant currency basis reflecting a successful bid season which produced an average price increase of nearly 4% across the entire portfolio and a 7% price increase on those contracts up for bid and renewal. This strong bid season was augmented by the bolt-on acquisitions made over the last year. Record passenger numbers in both Spain and Morocco of over 153 million journeys in the first half, supporting revenue growth of 4% on a constant currency basis. Strong growth in Rail with passenger growth of 8% at c2c, benefitting from the introduction of a new timetable in December 2015, together with the first six months of our German rail operations. 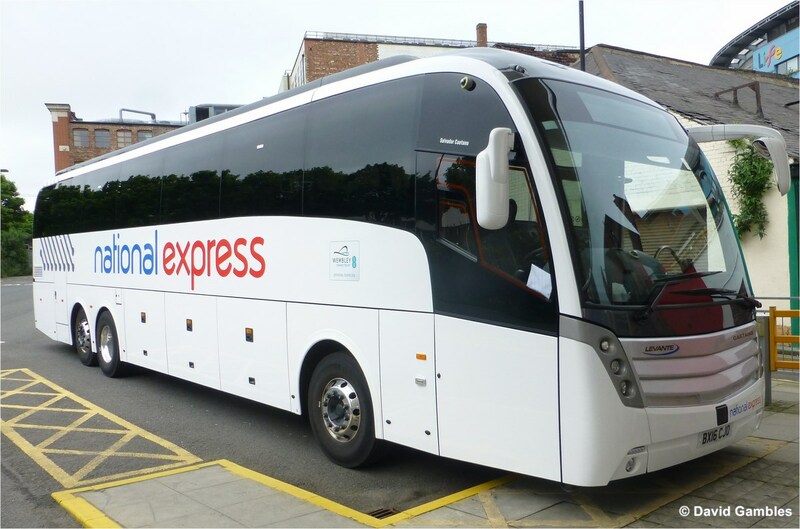 Growth in revenue, profit and margins in both UK Bus and UK Coach. The Bahrain bus operation is now carrying over one million passengers per month in only its second year of operations. On target to generate £100m of free cash flow for the year. Declared an interim dividend of 3.87 pence (2015: 3.685p): an increase of 5%. North American acquisitions are generating above average margins and return on invested capital, with the two acquisitions purchased in the first half of last year delivering a ROIC of 23%. Completed three acquisitions in North America during the period, adding 420 school buses and 80 transit vehicles. This included the strategic acquisition of a planning and scheduling software provider in the paratransit market, strengthening service credentials. Submitted a bid for the Manchester Metrolink, an up to ten year contract starting in July 2017. Completed a small acquisition of a regional bus business in Ibiza, providing the first entry onto the island. Further growth opportunities in Morocco, including a recently won sight-seeing contract in Marrakech and new bid for the Casablanca Tramway. Actively looking at attractive growth opportunities in a number of new markets, with bid preparations underway in one new market. “We have made a good start to 2016 and despite subdued growth in the UK we remain on track to deliver our expectations for the year. The diversity of our cash generative, international portfolio of businesses where two thirds of our earnings are generated outside of the UK, is a key strength that allows us to grow and to declare a 5% increase in the interim dividend.